Vaccines Conferences Committee looks forward to welcome all the participants across the world to attend "31st Euro Global Summit and Expo on Vaccines & Vaccination" during June 14-16, 2018 in Barcelona, Spain. The conference highlights the theme “Roadmap on the future of Vaccines Research”. Euro Vaccines 2018 conference features highly enlightening and interactive sessions to encourage the exchange of ideas across a wide range of disciplines in the field of vaccination and therapeutics. The conference includes explicit keynote talks from distinguished scientists, plenary sessions, Poster competition, Young Researcher sessions, Symposiums, Workshop and Exhibitions. 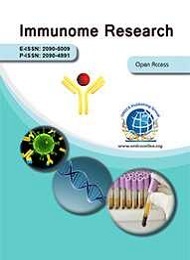 There will be opportunities for those chosen to present at the meeting to publish a manuscript based on their presentation in the Journal of Vaccines & Vaccination or its sister publication, Journal of Clinical & Cellular Immunology and Immunome Research. Conference Series llc LTD organizes 1000+ Global Events inclusive of 300+ Conferences, 500+ Upcoming and Previous Symposiums and Workshops in USA, Europe & Asia with support from 1000 more scientific societies and publishes 700+ Open access journals which contains over 30000 eminent personalities, reputed scientists as editorial board members. Euro Vaccines 2018 is aimed to give an opportunity that with scholars from around the world focused on learning about Vaccines & Immunology and its advances; this is the best opportunity to reach the largest assemblage of participants from the Vaccines & Immunology community. It provide an explicit platform for presentations, distribute information, meet with current and potential scientists, make a splash with new vaccines developments, and receive name recognition at this event. World-renowned speakers, the most recent techniques, developments, and the newest updates in Vaccines & Immunology are hallmarks of this conference. Vaccines Conferences is aimed to give an opportunity that with scholars from around the world focused on learning about Vaccines & Immunology and its advances; this is the best opportunity to reach the largest assemblage of participants from the Vaccines & Immunology community. It provides an explicit platform for presentations, distributes information, meets with current and potential scientists, makes a splash with new vaccines developments, and receive name recognition at this event. World-renowned speakers, the most recent techniques, developments, and the newest updates in Vaccines & Immunology are hallmarks of this conference. 5th International Conferences on Infectious Diseases, March 1-2, 2018 Berlin, Germany; 4th World Conferences on Rare Diseases and Orphan Drugs, June 11-12, 2018 Dublin, Ireland; International Conferences on Emerging Infectious Diseases, 31st August-1st September 2018 Zurich, Switzerland; 6th World Conferences on HIV/AIDS, STDs & STIs, October 29-30 Madrid, Spain; 13th World Conferences on Infection Prevention and Control, December 14-16, 2017 Rome, Italy; 6th Euro-Global Conferences on Infectious Diseases, September 7-9, 2017 Paris, France; 3rd International Conferences on Influenza and Zoonotic Diseases, August 21-22, 2017 Birmingham, UK; 18thInternational Conferences on Infectious Diseases, March 1-4, 2018 Buenos, Argentina; The European Conferences on Clinical Microbiology and Infectious Diseases, April 21-24, 2018 Madrid, Spain; ICID 2018; 20th International Conference on Infectious Diseases, January 29-30, 2018 Sydney, Australia; Twelfth Annual Conferences on Infectious Diseases Update for Primary Care and Hospital Medicine, September 14-15, 2017 Baltimore, USA; 30th Annual Conferences on Infectious Diseases in Children, November 18-19, 2017 New York, USA; Conferences on Infectious Diseases: Adult Issues in the Outpatient and Inpatient Settings, April 02-06, 2018 Florida, USA; ID Week 2017 Infectious Diseases Conferences, October 4-7, 2017 California, USA; 10th conferences on Pediatric Infectious Diseases (WSPID), December 2-5, 2017 Shenzhen, China; Online conference: Vaccines: Developments and Optimization, 26-27, 2018. 29th International Conferences on Vaccines and Immunization, March 19-20, 2018 London, UK; 9th Conferences on Molecular Immunology & Immunogenetics, March 08-09, 2018 London, UK; 9th European Conferences on Immunology, June 14-16, 2018 Rome, Italy; 2nd International Conferences on Autoimmunity, November 06-07, 2017 Frankfurt, Germany; 11th International Conferences on Allergy, Asthma & Clinical Immunology, September 07-08, 2017 Edinburgh, Scotland; International Conferences on Emerging Infectious Diseases, 31st August-1st September 2018 Zurich, Switzerland; 6thWorld Conferences on HIV/AIDS, STDs & STIs, October 29-30 Madrid, Spain; 4th ESCMID Conferences on Vaccines, September 8-10, 2017 Dubrovnik, Croatia; 2017 International Conferences on Vaccines, October 5-7, 2017 Paris, France; Conferences on Vaccines Research & Development, November 20-22, 2017, Valencia, Spain; 2nd Global Conferences on Vaccines Research, March 19-20, 2018 London, UK; World Vaccines Conferences Washington 2018, April 3-5, 2018 Washington DC, USA; Global Conferences on Vaccines and Vaccination Techniques, April 16-18, 2018, Dubai, UAE; 4th Global Conferences on Virology and Vaccines, April 19-21, 2018 Valencia, Spain; 48th National Immunization Conferences, May 15-17, 2018 Atlanta, USA; Conferences on Vaccines Technology, June 17-22, 2018 Quebec, Canada; Conferences on HIV Research for prevention October 21-25, 2018 Madrid, Spain; Online conference: Vaccines: Developments and Optimization, 26-27, 2018. 6th World Conferences on HIV/AIDS, STDs & STIs, October 29-30 Madrid, Spain; 29thInternational Conferences on Vaccines and Immunization, March 19-20, 2018 London, UK ; 9th European Conferences on Immunology, June 14-16, 2018 Rome, Italy; 2nd International Conferences on Autoimmunity, November 06-07, 2017 Frankfurt, Germany; 11thInternational Conferences on Allergy, Asthma & Clinical Immunology, September 07-08, 2017 Edinburgh, Scotland; 22nd International AIDS Conferences (AIDS 2018) July 23-27 2018 Amsterdam, Netherlands; CHA 2018; 20thInternational Conferences on HIV and AIDS, May 14 - 15, 2018 London, UK; The annual Conferences on Retroviruses and Opportunistic Infections (CROI), March 4 -7, 2018 Massachusetts, USA; 12th Annual ACTHIV, April 5 - 7, 2018, Chicago, USA; 20th Bangkok International Conferences on HIV Medicine 2018, January 17 - 19, 2018, Bangkok, Thailand; 2ndInternational Conferences on HIV, September 01-02, 2017 Barcelona, Spain; 21stAnnual United States Conferences on AIDS (USCA), September 07-09, 2017 Washington, DC, USA; 16th European AIDS Conferences, October 25-28, 2017 Milan, Italy; Australasian Conferences on AIDS 2017, November 06-08, 2017 Canberra, Australia; Online conference: Vaccines: Developments and Optimization, 26-27, 2018. 28th Euro Conferences on Cancer Science & Therapy, August 09-10, 2018 Madrid, Spain; 27th International Conferences on Oncology Research & Cancer Stem Cells, May 10-12, 2018 Frankfurt, Germany; 9th International Conferences on Leukemia and Hematologic Oncology, October 05-06,2017 London, UK; 2nd International Conferences on Epigenetics & Chromatin, November 06-08, 2017 Frankfurt, Germany; 9th World Conferences on Biomarkers, December 07-08, 2017 Madrid, Spain; Global Conferences on Oncology & Cancer, March 14-16, 2018 Singapore; A Matter of Life or Death: From Basic Cell Death Mechanisms to Novel Conferences on Cancer Treatments, February 1- 3, 2018, Amsterdam, Netherlands; Radiation Break-through: from DNA damage responses to precision Conferences on cancer therapy, March 12 – 14, 2018 Oxford, UK; Molecular Pathology Approach to Cancer, Amsterdam, Netherlands, 4 - 6 June 2018; 25th Biennial Conferences on Cancer Research, 30-03 July 2018 Amsterdam, Netherlands; World Conferences on Cancer, October 1-4 2018 Kuala Lumpur, Malaysia; Conferences on Cancer Immunotherapy: Combinations (C5), March 23-27, 2018, Québec, Canada; Conferences on oncology, September 08-12 2017 Madrid, Spain; Online conference: Vaccines: Developments and Optimization, 26-27, 2018. 20th International Conferences on Neonatology and Perinatology, December 04-06, 2017 Madrid, Spain; 15thInternational Conferences on Pediatrics and Conferences on Pediatric Cardiology, February 19-20, 2018 Paris, France; 20thInternational Conferences on Pediatrics Primary Care, September 03-04, 2018 Zurich, Switzerland; 3rd International Conferences on Pediatric Surgery, May 07-08, 2018 Frankfurt, Germany; 14th International Conferences on Clinical Pediatrics, June 14-16, 2018 Rome, Italy; 20th International Conferences on Viral Hepatitis and Liver Disease, May 14-15, 2018 London, UK; International Conferences on Hepatology 2018 January 15-16, 2018 Paris, France; 11th Australasian Conferences on Viral Hepatitis, 13-15 August 2018 Adelaide, Australia; AFRAVIH 2018: 9th edition of the International Francophone Conferences on Hepatitis, April 4 -7 2018 Paris, France; The European Conferences on Clinical Microbiology and Infectious Diseases, April 21-24, 2018 Madrid, Spain; ICID 2018; 20th International Conferences on Infectious Diseases, January 29-30, 2018 Sydney, Australia; Twelfth Annual Conference on Infectious Diseases Update for Primary Care and Hospital Medicine, September 14-15, 2017 Baltimore, USA; World Conferences on Hepatitis 2017, November 1-3 2017, São Paulo, Brazil; 24th International Conferences on Hepatitis C Virus and Related Viruses (HCV 2017), September 25-28, 2017 Cape Cod, USA; Online conference: Vaccines: Developments and Optimization, 26-27, 2018. 6th Euro-Global Conferences on Infectious Diseases, September 7-9, 2017 Paris, France; 5th International Conferences on Infectious Diseases, March 1-2, 2018 Berlin, Germany; 4th World Conferences on Rare Diseases and Orphan Drugs, June 11-12, 2018 Dublin, Ireland; Vaccines Conferences USA 2018; International Conferences on Emerging Infectious Diseases, 31st August-1st September 2018 Zurich, Switzerland; 6th World Conferences on HIV/AIDS, STDs & STIs, October 29-30 Madrid, Spain; Vaccines Conferences Asia 2018; 13th World Conferences on Infection Prevention and Control, December 14-16, 2017 Rome, Italy; Vaccines Conferences Middle east 2018; A Matter of Life or Death: From Basic Cell Death Mechanisms to Novel Cancer Treatments Conferences, February 1- 3, 2018, Amsterdam, Netherlands; Radiation Break-through: from DNA damage responses to precision Conferences on cancer therapy, March 12 – 14, 2018 Oxford, UK; Vaccines Conferences Australia 2018; Molecular Pathology Approach to Cancer, Amsterdam, Netherlands, 4 - 6 June 2018; 25th Biennial Conferences on Cancer Research, 30-03 July 2018 Amsterdam, Netherlands; World Conferences on Cancer, October 1-4 2018 Kuala Lumpur, Malaysia; Vaccines Conferences Canada 2018; Conferences on Cancer Immunotherapy: Combinations (C5), March 23-27, 2018, Québec, Canada; Conferences on oncology, September 08-12 2017 Madrid, Spain; Online conference: Vaccines: Developments and Optimization, 26-27, 2018. 3rd International Conferences on Reproductive Health and Medicine, May 21-22, 2018 Vienna, Austria; 4th Annual Conferences and Medicare Expo on Trauma & Critical Care, February 22-23, 2018 Paris, France; Vaccines Conferences USA 2018; 47th Global Nursing & Healthcare Conferences, March 01-03, 2018 London, UK; 7th World Conferences on Breast Cancer, May 10-11, 2018 Frankfurt, Germany; Vaccines Conferences Asia 2018; 13th World Conferences on Infection Prevention and Control, December 14-16, 2017 Rome, Italy; 27th International Conferences on Oncology Research & Cancer Stem Cells, May 10-12, 2018 Frankfurt, Germany; 28th Euro Conferences on Cancer Science & Therapy, August 09-10, 2018 Madrid, Spain; 11th European Conferences on Breast Cancer (EBCC-11), March 21-23, 2018 Barcelona, Spain; Vaccines Conferences Middle east 2018; 35thAnnual Miami Breast Cancer Conferences, March 8-11, 2018 Florida, USA; A Matter of Life or Death: From Basic Cell Death Mechanisms to Novel Conferences on Cancer Treatments, February 1- 3, 2018, Amsterdam, Netherlands; Radiation Break-through: from DNA damage responses to precision Conferences on cancer therapy, March 12 – 14, 2018 Oxford, UK; Vaccines Conferences Australia 2018; Molecular Pathology Approach to Cancer, Amsterdam, Netherlands, 4 - 6 June 2018; 25th Biennial Conferences on Cancer Research, 30-03 July 2018 Amsterdam, Netherlands; World Conferences on Cancer, October 1-4 2018 Kuala Lumpur, Malaysia; Conferences on Cancer Immunotherapy: Combinations (C5), March 23-27, 2018, Québec, Canada; Vaccines Conferences Canada 2018; ESMO 2017 Congress-Integrating science into oncology for a better patient outcome, September 08-12 2017 Madrid, Spain; 37th Annual Conferences on Pregnancy, January 23 - 28, 2017 Las Vegas, USA; Online conference: Vaccines: Developments and Optimization, 26-27, 2018. Vaccine adjuvants is an ingredient of a vaccine that helps create a stronger immune response in the patient’s body. In other words, adjuvants help vaccines work better. Some vaccines made from weakened or dead germs contain naturally occurring adjuvants and help the body produce a strong protective immune response. However, most vaccines developed today include just small components of germs, such as their proteins, rather than the entire virus or bacteria. These vaccines often must be made with adjuvants to ensure the body produces an immune response strong enough to protect the patient from the germ he or she is being vaccinated against. Aluminum gels or aluminum salts are vaccines ingredients that have been used in vaccines since the 1930s. Small amounts of aluminum are added to help the body build stronger immunity against the germ in the vaccine. Aluminum is one of the most common metals found in nature and is present in air, food, and water. The amount of aluminum present in vaccines is low and is regulated by the U.S. Food and Drug Administration (FDA). 10th International Virology Conferences and Expo, July 02-04, 2018 Vienna, Austria; 8th Global Conferences on Microbiology & Conferences on Infectious Diseases, February 22-23, 2018 Paris, France; 16th International Conferences on Pharmaceutical Microbiology and Conferences on Biotechnology, May 21-23, 2018 Vienna, Austria; Vaccines Conferences USA 2018; 4th World Conferences on Applied Microbiology, November 29-December 01, 2017 Madrid, Spain; 8th Clinical Microbiology Conferences, October 26-28, 2017 Paris, France; 46th World Conferences on Microbiology, September 18-19, 2017 Dublin, Ireland; Vaccines Conferences Asia 2018; 13th World Conferences on Healthcare & Technologies, June 14-15, 2018 Dublin, Ireland; A Matter of Life or Death: From Basic Cell Death Mechanisms to Novel Cancer Treatments Conferences, February 1- 3, 2018, Amsterdam, Netherlands; Radiation Break-through: from DNA damage responses to precision Conferences on cancer therapy, March 12 – 14, 2018 Oxford, UK; Vaccines Conferences Middle east 2018; Molecular Pathology Approach to Cancer, Amsterdam, Netherlands, 4 - 6 June 2018; 25th Biennial Conferences on Cancer Research, 30-03 July 2018 Amsterdam, Netherlands; Vaccines Conferences Canada 2018; World Conferences on Cancer, October 1-4 2018 Kuala Lumpur, Malaysia; Vaccines Conferences Australia 2018; Conferences on Cancer Immunotherapy: Combinations (C5), March 23-27, 2018, Québec, Canada; Conferences on oncology, September 08-12 2017 Madrid, Spain; Online conference: Vaccines: Developments and Optimization, 26-27, 2018. 5th International Conferences on Infectious Diseases, March 1-2, 2018 Berlin, Germany; 4th World Conferences on Rare Diseases and Orphan Drugs, June 11-12, 2018 Dublin, Ireland; Vaccines Conferences USA 2018; International Conferences on Emerging Infectious Diseases, 31st August-1st September 2018 Zurich, Switzerland; Vaccines Conferences Asia 2018; 6th World Conferences on HIV/AIDS, STDs & STIs, October 29-30 Madrid, Spain; 13th World Conferences on Infection Prevention and Control, December 14-16, 2017 Rome, Italy; 6th Euro-Global Conferences on Infectious Diseases, September 7-9, 2017 Paris, France; 3rd International Conferences on Influenza and Zoonotic Diseases, August 21-22, 2017 Birmingham, UK; Vaccines Conferences Middle east 2018; 90thAnnual Western Conferences on Veterinary Vaccines, March 4-8, 2018 Las Vegas, USA; 22nd International AIDS Conferences (AIDS 2018) July 23-27 2018 Amsterdam, Netherlands; CHA 2018; 20th International Conferences on HIV and AIDS, May 14 - 15, 2018 London, UK; Vaccines Conferences Australia 2018; The annual Conferences on Retroviruses and Opportunistic Infections (CROI), March 4 -7, 2018 Massachusetts, USA; 12th Annual ACTHIV, April 5 - 7, 2018, Chicago, USA; 20th Bangkok International Conferences on HIV Medicine 2018, January 17 - 19, 2018, Bangkok, Thailand; 2ndInternational Conferences on HIV, September 01-02, 2017 Barcelona, Spain; Vaccines Conferences Canada 2018; 21stAnnual United States Conferences on AIDS (USCA), September 07-09, 2017 Washington, DC, USA; 16th European AIDS Conferences, October 25-28, 2017 Milan, Italy; Australasian Conferences on AIDS 2017, November 06-08, 2017 Canberra, Australia ; WAAVP 2017 – The 26th International Conferences on Advancement of Veterinary Parasitology, September 04-08, 2017 Kuala Lumpur, Malaysia; Online conference: Vaccines: Developments and Optimization, 26-27, 2018. 6th Euro-Global Conferences on Infectious Diseases, September 7-9, 2017 Paris, France; 5th International Conferences on Infectious Diseases, March 1-2, 2018 Berlin, Germany; 4th World Conferences on Rare Diseases and Orphan Drugs, June 11-12, 2018 Dublin, Ireland; Vaccines Conferences USA 2018; International Conferences on Emerging Infectious Diseases, 31st August-1st September 2018 Zurich, Switzerland; 6th World Conferences on HIV/AIDS, STDs & STIs, October 29-30 Madrid, Spain; Vaccines Conferences Asia 2018; 13th World Conferences on Infection Prevention and Control, December 14-16, 2017 Rome, Italy; 7th International Conferences on Geriatrics and Palliative Care, September 4-5, 2017 Edinburgh, Scotland; Vaccines Conferences Middle east 2018; American Conferences on Geriatrics 2018, May 3-5 2018 Orlando, USA; 24th Nordic Conferences on Gerontology, May 2-4 2018 Oslo, Norway; 2nd Global Conferences on Vaccines Research, March 19-20, 2018 London, UK; Vaccines Conferences Australia 2018; World Vaccines Conferences Washington 2018, April 3-5, 2018 Washington DC, USA; Global Conferences on Vaccines and Vaccination Techniques, April 16-18, 2018, Dubai, UAE; 4th Global Conferences on Virology and Vaccines, April 19-21, 2018 Valencia, Spain; Vaccines Conferences Canada 2018; 48th National Immunization Conferences, May 15-17, 2018 Atlanta, USA; Conferences on Vaccines Technology, June 17-22, 2018 Quebec, Canada; Conferences on HIV Research for prevention October 21-25, 2018 Madrid, Spain; Online conference: Vaccines: Developments and Optimization, 26-27, 2018. 5th International Conferences on Infectious Diseases, March 1-2, 2018 Berlin, Germany; 4th World Conferences on Rare Diseases and Orphan Drugs, June 11-12, 2018 Dublin, Ireland; Vaccines Conferences USA 2018; International Conferences on Emerging Infectious Diseases, 31st August-1st September 2018 Zurich, Switzerland; 6th World Conferences on HIV/AIDS, STDs & STIs, October 29-30 Madrid, Spain; Vaccines Conferences Asia 2018; 13th World Conferences on Infection Prevention and Control, December 14-16, 2017 Rome, Italy; 6th Euro-Global Conferences on Infectious Diseases, September 7-9, 2017 Paris, France; 3rd International Conferences on Influenza and Zoonotic Diseases, August 21-22, 2017 Birmingham, UK; Vaccines Conferences Middle east 2018; 11th European Conferences on Breast Cancer (EBCC-11), March 21-23, 2018 Barcelona, Spain; 35thAnnual Miami Breast Cancer Conferences, March 8-11, 2018 Florida, USA; A Matter of Life or Death: From Basic Cell Death Mechanisms to Novel Conferences on Cancer Treatments, February 1- 3, 2018, Amsterdam, Netherlands; Vaccines Conferences Australia 2018; Radiation Break-through: from DNA damage responses to precision Conferences on cancer therapy, March 12 – 14, 2018 Oxford, UK; Molecular Pathology Approach to Cancer, Amsterdam, Netherlands, 4 - 6 June 2018; 25th Biennial Conferences on Cancer Research, 30-03 July 2018 Amsterdam, Netherlands; World Conferences on Cancer, October 1-4 2018 Kuala Lumpur, Malaysia; Conferences on Cancer Immunotherapy: Combinations (C5), March 23-27, 2018, Québec, Canada; Vaccines Conferences Canada 2018; ESMO 2017 Congress-Integrating science into oncology for a better patient outcome, September 08-12 2017 Madrid, Spain; 37th Annual Conferences on Pregnancy, January 23 - 28, 2017 Las Vegas, USA; Online conference: Vaccines: Developments and Optimization, 26-27, 2018. 29th International Conferences on Vaccines and Immunization, March 19-20, 2018 London, UK; 9th Conferences on Molecular Immunology & Conferences on Immunogenetics, March 08-09, 2018 London, UK; 9th European Immunology Conferences, June 14-16, 2018 Rome, Italy; Vaccines Conferences USA 2018; 2nd International Conferences on Autoimmunity, November 06-07, 2017 Frankfurt, Germany; 11th International Conferences on Allergy, Asthma & Clinical Immunology, September 07-08, 2017 Edinburgh, Scotland; Vaccines Conferences Asia 2018; 5th International Conferences on Infectious Diseases, March 1-2, 2018 Berlin, Germany; International Conferences on Emerging Infectious Diseases, 31st August-1st September 2018 Zurich, Switzerland; Vaccines Conferences Middle east 2018; 6thWorld Conferences on HIV/AIDS, STDs & STIs, October 29-30 Madrid, Spain; 90thAnnual Western Conferences on Veterinary Vaccines, March 4-8, 2018 Las Vegas, USA; 22nd International AIDS Conferences (AIDS 2018) July 23-27 2018 Amsterdam, Netherlands; CHA 2018; 20thInternational Conferences on HIV and AIDS, May 14 - 15, 2018 London, UK; The annual Conferences on Retroviruses and Opportunistic Infections (CROI), March 4 -7, 2018 Massachusetts, USA; Vaccines Conferences Australia 2018; 12th Annual ACTHIV, April 5 - 7, 2018, Chicago, USA; 20th Bangkok International Conferences on HIV Medicine 2018, January 17 - 19, 2018, Bangkok, Thailand; 2ndInternational Conferences on HIV, September 01-02, 2017 Barcelona, Spain; 21stAnnual United States Conferences on AIDS (USCA), September 07-09, 2017 Washington, DC, USA; 16th European AIDS Conferences, October 25-28, 2017 Milan, Italy; Vaccines Conferences Canada 2018; Australasian Conferences on AIDS 2017, November 06-08, 2017 Canberra, Australia ; WAAVP 2017 - The 26th International Conferences on Advancement of Veterinary Parasitology, September 04-08, 2017 Kuala Lumpur, Malaysia; Online conference: Vaccines: Developments and Optimization, 26-27, 2018. 5th World Conferences on Hepatitis & Liver Diseases, August 10-12, 2017 London, UK; 12th Euro-Global Gastroenterology Conferences, September 11-12, 2017 Paris, France; Vaccines Conferences USA 2018 2nd International Conferences on Digestive Diseases, December 07-08, 2017 Madrid, Spain; 12th International Conferences on Abdominal Endoscopy, April 10-12, 2018 Amsterdam, Netherlands; Vaccines Conferences Asia 2018; 2nd International Conferences on Digestive Diseases, December 07-08, 2017 Madrid, Spain; 20th International Conferences on Viral Hepatitis and Liver Disease, May 14-15, 2018 London, UK; International Conferences on Hepatology 2018 January 15-16, 2018 Paris, France; 11th Australasian Conferences on Viral Hepatitis, 13-15 August 2018 Adelaide, Australia; AFRAVIH 2018: Vaccines Conferences Middle east 2018; 9th edition of the International Francophone Conferences on Hepatitis, April 4 -7 2018 Paris, France; The European Conferences on Clinical Microbiology and Infectious Diseases, April 21-24, 2018 Madrid, Spain; ICID 2018; Vaccines Conferences Australia 2018; 20th International Conferences on Infectious Diseases, January 29-30, 2018 Sydney, Australia; Twelfth Annual Conference on Infectious Diseases Update for Primary Care and Hospital Medicine, September 14-15, 2017 Baltimore, USA; World Conferences on Hepatitis 2017, November 1-3 2017, São Paulo, Brazil; Vaccines Conferences Canada 2018; 24th International Conferences on Hepatitis C Virus and Related Viruses (HCV 2017), September 25-28, 2017 Cape Cod, USA; Online conference: Vaccines: Developments and Optimization, 26-27, 2018. 6th World Conferences on HIV/AIDS, STDs & STIs, October 29-30 Madrid, Spain; 29thInternational Conferences on Vaccines and Immunization, March 19-20, 2018 London, UK; Vaccines Conferences USA 2018; 9th European Immunology Conferences, June 14-16, 2018 Rome, Italy; Vaccines Conferences Asia 2018; 2nd International Conferences on Autoimmunity, November 06-07, 2017 Frankfurt, Germany; 11thInternational Conferences on Allergy, Asthma & Clinical Immunology, September 07-08, 2017 Edinburgh, Scotland; International Conferences on Hepatology 2018 January 15-16, 2018 Paris, France; Vaccines Conferences Australia 2018; Vaccines Conferences Middle east 2018; 11th Australasian Conferences on Viral Hepatitis, 13-15 August 2018 Adelaide, Australia; AFRAVIH 2018: 9th edition of the International Francophone Conferences on Hepatitis, April 4 -7 2018 Paris, France; The European Conferences on Clinical Microbiology and Infectious Diseases, April 21-24, 2018 Madrid, Spain; ICID 2018; 20th International Conferences on Infectious Diseases, January 29-30, 2018 Sydney, Australia; Vaccines Conferences Canada 2018; Twelfth Annual Conference on Infectious Diseases Update for Primary Care and Hospital Medicine, September 14-15, 2017 Baltimore, USA; World Conferences on Hepatitis 2017, November 1-3 2017, São Paulo, Brazil; 24th International Conferences on Hepatitis C Virus and Related Viruses (HCV 2017), September 25-28, 2017 Cape Cod, USA; Online conference: Vaccines: Developments and Optimization, 26-27, 2018. 20th International Conferences on Neonatology and Perinatology, December 04-06, 2017 Madrid, Spain; 15thInternational Conferences on Pediatric Cardiology, February 19-20, 2018 Paris, France; 20thInternational Conferences on Pediatrics Primary Care, September 03-04, 2018 Zurich, Switzerland; Vaccines Conferences USA 2018; 3rd International Conferences on Pediatric Surgery, May 07-08, 2018 Frankfurt, Germany; 14th International Conferences on Clinical Pediatrics, June 14-16, 2018 Rome, Italy; Vaccines Conferences Asia 2018; 11th European Conferences on Breast Cancer (EBCC-11), March 21-23, 2018 Barcelona, Spain; Vaccines Conferences Middle east 2018; 35thAnnual Miami Breast Cancer Conferences, March 8-11, 2018 Florida, USA; A Matter of Life or Death: From Basic Cell Death Mechanisms to Novel Conferences on Cancer Treatments, February 1- 3, 2018, Amsterdam, Netherlands; Radiation Break-through: from DNA damage responses to precision Conferences on cancer therapy, March 12 – 14, 2018 Oxford, UK; Molecular Pathology Approach to Cancer, Amsterdam, Netherlands, 4 - 6 June 2018; Vaccines Conferences Australia 2018; 25th Biennial Conferences on Cancer Research, 30-03 July 2018 Amsterdam, Netherlands; World Conferences on Cancer, October 1-4 2018 Kuala Lumpur, Malaysia; Conferences on Cancer Immunotherapy: Combinations (C5), March 23-27, 2018, Québec, Canada; ESMO 2017 Congress-Integrating science into oncology for a better patient outcome, September 08-12 2017 Madrid, Spain; Vaccines Conferences Canada 2018; 37th Annual Conferences on Pregnancy, January 23 - 28, 2017 Las Vegas, USA; Online conference: Vaccines: Developments and Optimization, 26-27, 2018. 6th Euro-Global Conferences on Infectious Diseases, September 7-9, 2017 Paris, France; 5th International Conferences on Infectious Diseases, March 1-2, 2018 Berlin, Germany; 4th World Conferences on Rare Diseases and Orphan Drugs, June 11-12, 2018 Dublin, Ireland; Vaccines Conferences USA 2018; International Conferences on Emerging Infectious Diseases, 31st August-1st September 2018 Zurich, Switzerland; 6th World Conferences on HIV/AIDS, STDs & STIs, October 29-30 Madrid, Spain; Vaccines Conferences Asia 2018; 13th World Conferences on Infection Prevention and Control, December 14-16, 2017 Rome, Italy; 11th European Conferences on Breast Cancer (EBCC-11), March 21-23, 2018 Barcelona, Spain; Vaccines Conferences Middle east 2018; 35thAnnual Miami Breast Cancer Conferences, March 8-11, 2018 Florida, USA; A Matter of Life or Death: From Basic Cell Death Mechanisms to Novel Conferences on Cancer Treatments, February 1- 3, 2018, Amsterdam, Netherlands; Radiation Break-through: from DNA damage responses to precision Conferences on cancer therapy, March 12 – 14, 2018 Oxford, UK; Vaccines Conferences Australia 2018; Molecular Pathology Approach to Cancer, Amsterdam, Netherlands, 4 - 6 June 2018; 25th Biennial Conferences on Cancer Research, 30-03 July 2018 Amsterdam, Netherlands; World Conferences on Cancer, October 1-4 2018 Kuala Lumpur, Malaysia; Conferences on Cancer Immunotherapy: Combinations (C5), March 23-27, 2018, Québec, Canada; Vaccines Conferences Canada 2018; ESMO 2017 Congress-Integrating science into oncology for a better patient outcome, September 08-12 2017 Madrid, Spain; 37th Annual Conferences on Pregnancy, January 23 - 28, 2017 Las Vegas, USA; Online conference: Vaccines: Developments and Optimization, 26-27, 2018. 10th International Virology Conferences and Expo, July 02-04, 2018 Vienna, Austria; 8th Global Conferences on Microbiology & Infectious Diseases, February 22-23, 2018 Paris, France; 16th International Conferences on Pharmaceutical Microbiology and Biotechnology, May 21-23, 2018 Vienna, Austria; Vaccines Conferences USA 2018; 4th Conferences on Applied Microbiology, November 29-December 01, 2017 Madrid, Spain; 8th Clinical Microbiology Conferences, October 26-28, 2017 Paris, France; Vaccines Conferences Asia 2018; 46th World Conferences on Microbiology, September 18-19, 2017 Dublin, Ireland; 13th World Conferences on Healthcare & Technologies, June 14-15, 2018 Dublin, Ireland; A Matter of Life or Death: From Basic Cell Death Mechanisms to Novel Cancer Treatments Conferences, February 1- 3, 2018, Amsterdam, Netherlands; Vaccines Conferences Middle east 2018; Radiation Break-through: from DNA damage responses to precision Conferences on cancer therapy, March 12 – 14, 2018 Oxford, UK; Molecular Pathology Approach to Cancer, Amsterdam, Netherlands, 4 - 6 June 2018; Vaccines Conferences Australia 2018; 25th Biennial Conferences on Cancer Research, 30-03 July 2018 Amsterdam, Netherlands; World Conferences on Cancer, October 1-4 2018 Kuala Lumpur, Malaysia; Conferences on Cancer Immunotherapy: Combinations (C5), March 23-27, 2018, Québec, Canada; Vaccines Conferences Canada 2018; Conferences on oncology, September 08-12 2017 Madrid, Spain; Online conference: Vaccines: Developments and Optimization, 26-27, 2018. 20th International Conferences on Neonatology and Perinatology, December 04-06, 2017 Madrid, Spain; 15thInternational Conferences on Pediatric Cardiology, February 19-20, 2018 Paris, France; Vaccines Conferences USA 2018; 20thInternational Conferences on Pediatrics Primary Care, September 03-04, 2018 Zurich, Switzerland; 3rd International Conferences on Pediatric Surgery, May 07-08, 2018 Frankfurt, Germany; 14th International Conferences on Clinical Pediatrics, June 14-16, 2018 Rome, Italy; Vaccines Conferences Asia 2018; 18thInternational Conferences on Infectious Diseases, March 1-4, 2018 Buenos, Argentina; The European Conferences on Clinical Microbiology and Infectious Diseases, April 21-24, 2018 Madrid, Spain; ICID 2018; Vaccines Conferences Middle east 2018; 20th International Conference on Infectious Diseases, January 29-30, 2018 Sydney, Australia; Twelfth Annual Conferences on Infectious Diseases Update for Primary Care and Hospital Medicine, September 14-15, 2017 Baltimore, USA; Vaccines Conferences Australia 2018; 30th Annual Conferences on Infectious Diseases in Children, November 18-19, 2017 New York, USA; Conferences on Infectious Diseases: Adult Issues in the Outpatient and Inpatient Settings, April 02-06, 2018 Florida, USA; Vaccines Conferences Canada 2018; ID Week 2017 Infectious Diseases Conferences, October 4-7, 2017 California, USA; 10th conferences on Pediatric Infectious Diseases (WSPID), December 2-5, 2017 Shenzhen, China; Online conference: Vaccines: Developments and Optimization, 26-27, 2018. 5th World Conferences on Hepatitis & Liver Diseases, August 10-12, 2017 London, UK; 12th Euro-Global Gastroenterology Conferences, September 11-12, 2017 Paris, France; Vaccines Conferences USA 2018; 2nd International Conferences on Digestive Diseases, December 07-08, 2017 Madrid, Spain; 12th International Conferences on Abdominal Endoscopy, April 10-12, 2018 Amsterdam, Netherlands; 2nd International Conferences on Digestive Diseases, December 07-08, 2017 Madrid, Spain; Vaccines Conferences Asia 2018; 22nd International AIDS Conferences (AIDS 2018) July 23-27 2018 Amsterdam, Netherlands; CHA 2018; 20thInternational Conferences on HIV and AIDS, May 14 - 15, 2018 London, UK; Vaccines Conferences Middle east 2018; The annual Conferences on Retroviruses and Opportunistic Infections (CROI), March 4 -7, 2018 Massachusetts, USA; 12th Annual ACTHIV, April 5 - 7, 2018, Chicago, USA; 20th Bangkok International Conferences on HIV Medicine 2018, January 17 - 19, 2018, Bangkok, Thailand; Vaccines Conferences Australia 2018; 2ndInternational Conferences on HIV, September 01-02, 2017 Barcelona, Spain; 21stAnnual United States Conferences on AIDS (USCA), September 07-09, 2017 Washington, DC, USA; Vaccines Conferences Canada 2018; 16th European AIDS Conferences, October 25-28, 2017 Milan, Italy; Australasian Conferences on AIDS 2017, November 06-08, 2017 Canberra, Australia; Online conference: Vaccines: Developments and Optimization, 26-27, 2018. BCG, or bacille Calmette-Guerin (Tuberculosis Vaccines), is a vaccine for tuberculosis (TB) disease. Many foreign-born persons have been BCG-vaccinated. BCG is used in many countries with a high prevalence of TB to prevent childhood tuberculous meningitis and miliary disease. 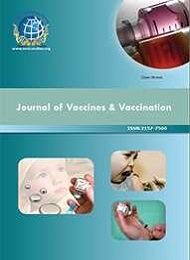 However, Tuberculosis Vaccine is not generally recommended for use in the United States because of the low risk of infection with Mycobacterium tuberculosis, the variable effectiveness of the vaccine against adult pulmonary TB, and the vaccine’s potential interference with tuberculin skin test reactivity. The Tuberculosis Vaccine should be considered only for very select persons who meet specific criteria and in consultation with a TB expert. 6th World Conferences on HIV/AIDS, STDs & STIs, October 29-30 Madrid, Spain; 29thInternational Conferences on Vaccines and Immunization, March 19-20, 2018 London, UK ; Vaccines Conferences USA 2018; 9th European Immunology Conferences, June 14-16, 2018 Rome, Italy; Vaccines Conferences Canada 2018; 2nd International Conferences on Autoimmunity, November 06-07, 2017 Frankfurt, Germany; 11thInternational Conferences on Allergy, Asthma & Clinical Immunology, September 07-08, 2017 Edinburgh, Scotland; Vaccines Conferences Asia 2018; 4th ESCMID Conferences on Vaccines, September 8-10, 2017 Dubrovnik, Croatia; 2017 International Society for Vaccines Annual Conference, October 5-7, 2017 Paris, France; Conferences on Vaccines Research & Development, November 20-22, 2017, Valencia, Spain; 2nd Global Conferences on Vaccines Research, March 19-20, 2018 London, UK; Vaccines Conferences Middle east 2018; World Vaccines ConferencesWashington 2018, April 3-5, 2018 Washington DC, USA; Global Conferences on Vaccines and Vaccination Techniques, April 16-18, 2018, Dubai, UAE; 4th Global Conferences on Virology and Vaccines, April 19-21, 2018 Valencia, Spain; Vaccines Conferences Australia 2018; 48th National Immunization Conferences, May 15-17, 2018 Atlanta, USA; Conferences on Vaccines Technology, June 17-22, 2018 Quebec, Canada; Conferences on HIV Research for prevention October 21-25, 2018 Madrid, Spain; Online conference: Vaccines: Developments and Optimization, 26-27, 2018. Vaccines Conferences Committee invites all the participants across the world to attend “31st Euro Global Summit and Expo on Vaccines & Vaccination” going to be held during June 14-16, 2018 in Barcelona, Spain. The Theme of the conference is "Roadmap on the future of Vaccines Research" will explore the advances in Vaccines and vaccination. Vaccination is a key to eradicate the diseases. It is a subject for the professionals who looks beyond the clinical prospects. Traditional approaches to vaccine design were to emasculate or inactivate the human pathogen or a cognate animal homologue, Vaccinology is the science of vaccine development and how the immune system responds to vaccines, but additionally includes perpetual evaluation of immunization programs and vaccine safety and efficacy, as well as surveillance of the epidemiology of vaccine-preventable diseases. 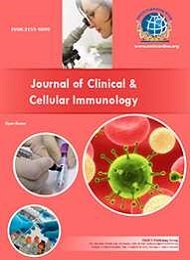 This chapter provides a brief overview of some of the main concepts of immunology and Vaccinology as they relate to immunization. Euro Vaccines 2018 amasses all the extroverts under one roof of current advances. Spain’s second largest and definitely most cosmopolitan city, and one of the Mediterranean’s busiest ports. Barcelona is the capital of Catalonia, which is a region of Spain with its own language – Catalan, and its own culture and character. Barcelona is known throughout the world as a cultural city with considerable heritage and a permanent, dynamic offer, a rich architectural and monumental heritage with works that have been declared part of the world heritage by the UNESCO. This city has the greatest concentration of top class universities in the world. The presence of universities, hospitals, labs and other professional services, together with key installations make it favourite destination for scientific meetings. Centro de Diagnóstico por imagen foraste S.A.
Centro de Oftalmología Barraquer S.A.
EMSI - Equip Medic De Salut Integral S. L.
Laboratorio Dr F. Echevarne Analisis S.A.
Novartis vaccines and diagnostics sl. The global vaccine market is one of the fastest growing segments and new predictions estimate the value of the market to reach between $48 billion and more than $70 billion over the next five to eight years.